MCI asks CBI to investigate medical seat selling scam - AcrossPG Exams! The Medical Council of India (MCI) on Friday wrote to the Central Bureau of Investigation (CBI) asking for a probe into a sting operation conducted by CNN-IBN which exposed the sale of post-graduate medical seats in colleges across three states for crores of rupees. 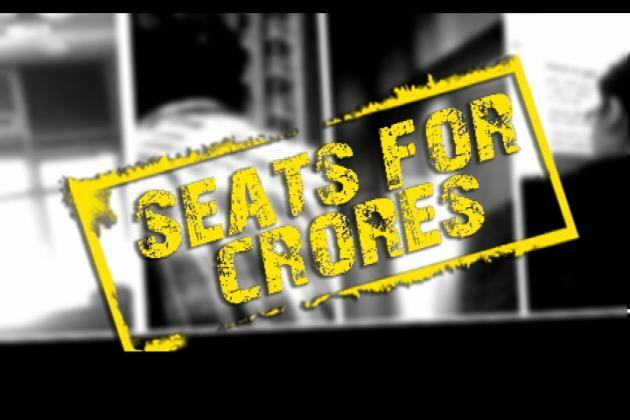 The CNN-IBN sting had caught five colleges taking crores for admissions. The MCI has handed over the sting operation tapes to the CBI. The CBI will also probe a complaint filed by BSP MP Seema Upadhyay who was reportedly asked to pay Rs 1.5 crore for her daughter's admission in Subharti medical college in Meerut. Upadhyay, an MP from Fatehpur Sikri, has now written a letter to the MCI, the Health Minister and the CBI, asking for a probe into the illegal sale of medical seats in Subharti medical college. "When I went there for my daughter's admission, they hinted that I needed to pay money for a seat. I spoke to students who were studying there and found out the college charges anything between Rs 1-1.5 crore per seat. I was shocked at the rampant corruption. How does a meritorious student then get admission? I have written to the MCI, the CBI, the PMO, the President and the Health Minister. I want a CBI inquiry into the matter. I will raise this issue in Parliament as well," Upadhyay told CNN-IBN. Subharti medical college has, however, denied the charges and said, "We told BSP MP Seema Upadhyay and her MLA husband that admission was possible only after the declaration of the result of competitive exams. My security staff filed an FIR against them. They are telling absolute lies."